These screenshots represent work in progress and are not of the finished product. Many many thanks to my friend Adrian Mardlin for allowing me to photograph and recreate his stunning Pitts Special 'Papa Zulu'. 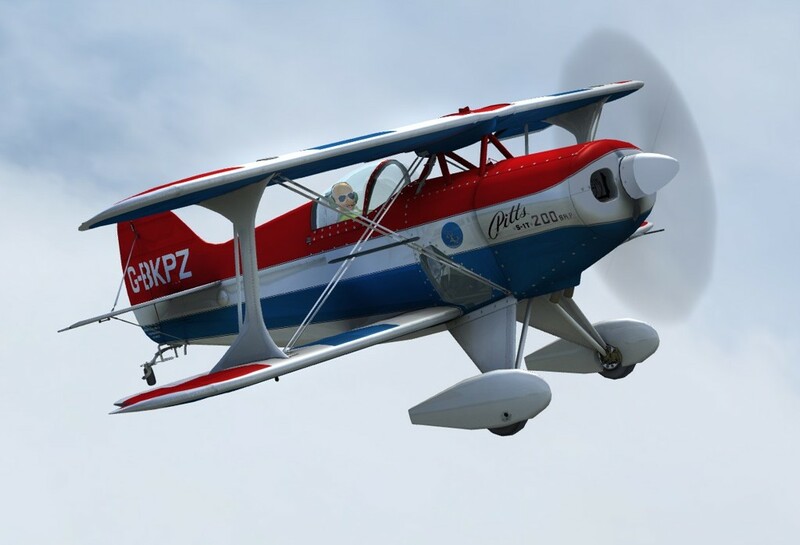 The aircraft comes with four liveries and original sound recorded from Papa Zulu. Thanks also go to my co-conspirators, Jane-Rachel Whittaker and Daniel Dunn as we reassemble for a new line of products. Please keep an eye out for our Pitts release and future plans. Flight Simulator, FS2002, FS2004, FSX and Microsoft are all trademarks of Microsoft Corporation. The aircraft simulation, sounds, instruments, photos and images are the property of David Chester and must not be used or re-distributed without permission.